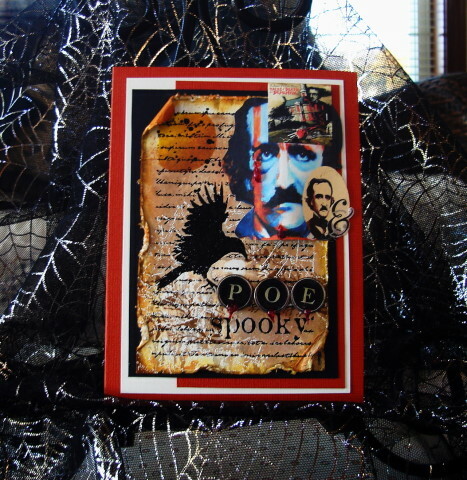 Vada's Blog Stamp Inks and Paper : GC121: Chestnut Challenge - Horror Stories . 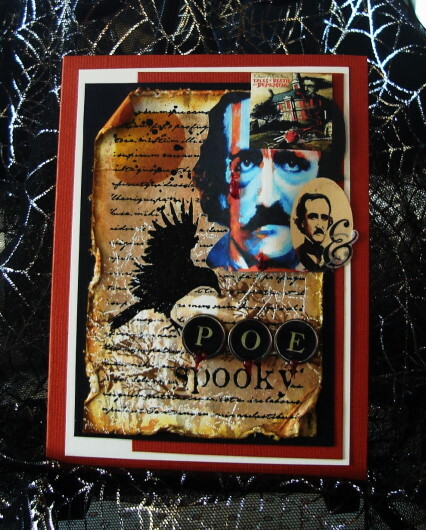 For the month of October, our challenge is “Edgar Allan Poe”. Horror Stories is our Chestnut Theme. I used a fun TQ from Hero Arts and Curled Corners from Techniques Junkies February 2011 Newsletter. My only stamp is from Memory Box. distress inks adds to the mood of this card. For the fake blood, It was Hot Glue and “Atyou Spica Markers”. My graphic’s were free downloads from the inter net. Love the curled corners on the tattered old page with the embossed raven and of course the fake blood globs! 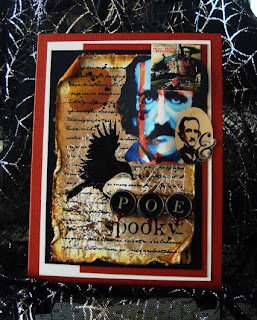 Beautiful ink distressing and the graphic images spooky fun! BTW, quite a few bloggers are having commenting problems! Can't believe it took you three attempts to comment! Have a great evening! Hugs! 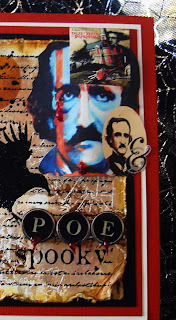 Love the composition and all the Poe elements. This is remarkable. Oh, Vada... I love your spooky piece! 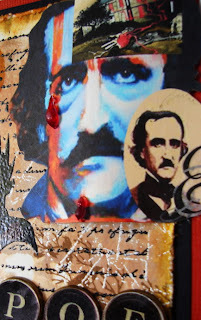 That base text piece with the curled edges is a great foundation for the creepy parts above. Love it! WOW! Totally too cool Ms. V! Unique blood! So much wonderful texture and detail, Vada. I love it! Vada, this really is a wonderful piece--fabulous design, and great details!! Congratulations on being chosen as a Ginger Gem at Gingersnap Creations!